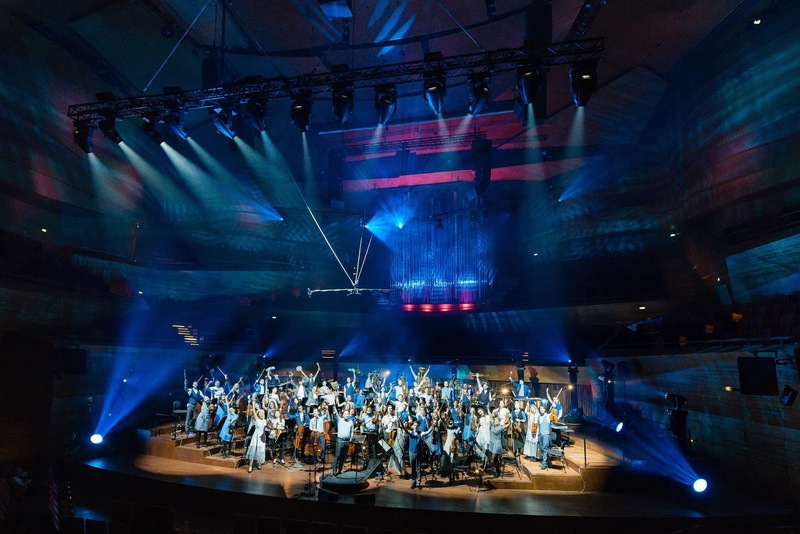 Planet Hugill: Baltic Sea Philharmonic celebrates 10 years. Today (4 June 2018) the Baltic Sea Philharmonic celebrates its 10th anniversary. On 4 June 2018, the then Baltic Sea Youth Philharmonic, conductor Kristjan Järvi, [see my interview with Kristjan] gave a concert in Riga, Latvia. The ensemble brings together young musicians from all 10 Baltic countries. Since 2008 some 700 musicians have played in almost 100 concerts in 47 cities in 14 countries, with collaborators such as Gidon Kremer, Julia Fischer, Valentina Lisitsa, David Geringas and Angela Gheorghiu. The orchestra's 2017 Waterworks tour included the orchestra's debut at the Elbphilharmonie in Hamburg [see my review]. Looking ahead, the orchestra will be taking its Waterworks programme to the United Arab Emirates in November 2018, and in July 2018will give the world premiere the Violin Concerto by Lithuanian composer Gediminas Gelgotas [see my interview with Gediminas] and the orchestra is a co-commissioner of a major new work by Steve Reich, Music for Ensemble and Orchestra. The orchestra’s international touring was paralleled by its education programmes, ranging from the specialist coaching for its musicians to workshops for young conductors and composers, and concerts for schools. In 2013 the Baltic Sea Music Education Foundation was created to consolidate these activities and to develop a sustainable education strategy for the Baltic Sea region. Further information from the Baltic Sea Philharmonic website.